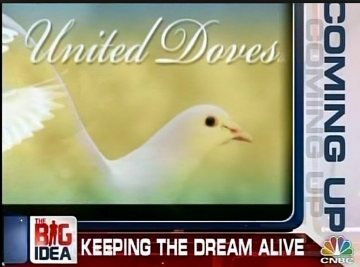 The United Doves Story featured on "The Big Idea- Donny Deutsch" 9/11/2008. Dan has got a great business! Many build things out of a hobby, but Dan has got much more than that, he's got real business experience and there may be franchise possibilities here. 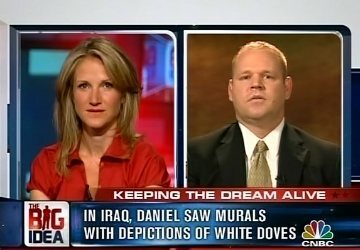 He actually supplies other dove release companies across the country. He knows them in his industry, and Dans business expertise is going to be really valuable to the rest of those in his industry. - Jim Koch, Founder, Samuel Adams Boston Beer Co.
Dan has a phenominal idea, this business he is building has huge potential for major events in the future! - Joe Terranova, CNBC "Fast Money" Contributor, Veteran Wall Street Trader. Strategist for Phoenix Investment Partners. 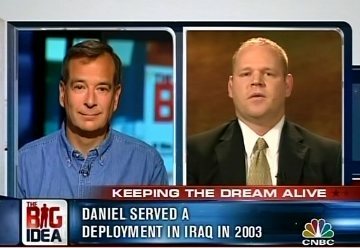 Dan has got a great story to the business. 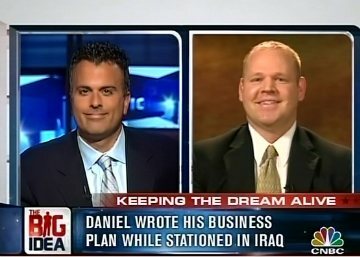 I love his story...I love his idea of taking this business to the next level. - Mel Robbins, American Television host, Life Coach, Author, Motivational Speaker. I love this idea, I love this guy, he gave for us and now we're going to give for him. 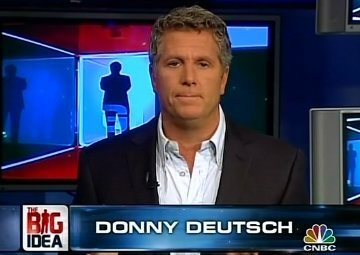 Get in touch with this guy!- Donny Deutsch, American Advertising Executive and TV Personality. Former host of the CNBC talk show The Big Idea with Donny Deutsch. This is what Brendon Burchard had to say about The White Dove Release Business when I shared this concept with him in 2014! Releasing those white doves are an incredible way to comfort those in times of need. What a great way to share your message with the world, Dan!- Brendon Burchard, #1 New York Times bestselling author of The Millionaire Messenger, and the #1 Wall Street Journal bestselling author of The Charge: Activating the 10 Human Drives That Make You Feel Alive. 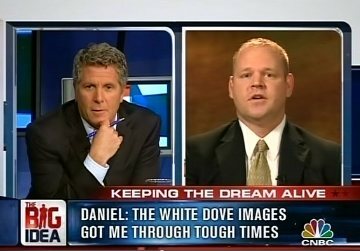 This is what Dan Kennedy had to say about the 2 white doves that I had given to him as a gift, which my friend and partner delivered to Dan in person in Aug 2015. "Over all these years, Members, event attendees and clients have given me a wide variety of gifts. On three different occasions, clients have given me automobiles. Rare Books, first editions, rare comic books, an ancient manuscript from China, etc. I try to at least thank each person privately, but it is impossible to thank them all publicly. 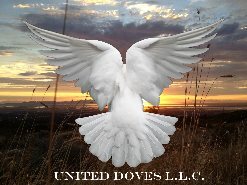 But in all these +40 years at this, the one thing i have never been given by anybody before is.... Live White Doves! There is a lesson here? There's simply no end to the size and scope and diversity of opportunity. This case is a pure act of gratitude, in a creative way. "- Dan Kennedy, Strategic Advisor, consultant, business coach, and editor of six business newsletters. He directly influences more than one million business owners annually and has a long track record of taking entrepreneurs to seven figure incomes and multi-millionaire wealth. Its always exciting to hear about so many new and upcoming unique business ideas. - Peter Guber, Executive, Entrepreneur, Educator, and author. Chairman and CEO of Mandalay Entertainment.